HUMAN SUN has Los Angeles premiere at LA Shorts Fest! 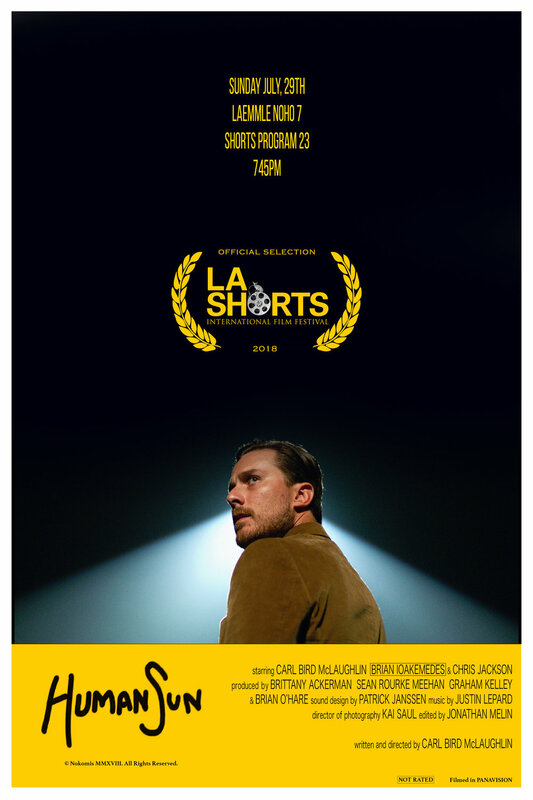 We are thrilled to announce that Human Sun will have its Los Angeles premiere at the Laemmle Noho 7 on Sunday, July 29th as part of LA Shorts Fest Shorts Program 23 at 7:45pm. Tickets are on sale here. Thank you to all our supporters, we can't wait to share the film with you in our home town. Grab tickets while you can, they are going fast! I am happy to announce that Human Sun will have its World Premiere at the Marfa Film Festival on Saturday, July 14th. We are honored to be a part of such a respected film festival--and for the film to premiere in the beautiful backdrop of West Texas. We have also received word from some local festivals in the Los Angeles area of future screenings during the summer. Those dates will be posted shortly. Thank you for your support and Happy 4th of July!